Just as the automotive industry has seen incredible advancements in efficiency, with a vehicle's gas mileage averaging around 15mpg in the 80's compared to today's rate exceeding over 30mpg, the newly developed heating and cooling systems on the market now have reached unprecedented levels of output for dramatically less energy costs. In the same way, innovations in technology for manufacturing have allowed modern equipment to be drastically more affordable and attainable. 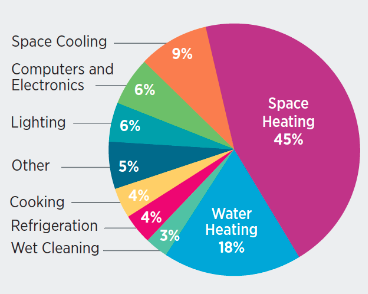 So it is no wonder why in this same span of years the amount of homes within the U.S. that utilize air conditioning rose quickly from 30% to 90%. Leaps of progress have not only been made in HVAC functionality, but also in user interface as well. 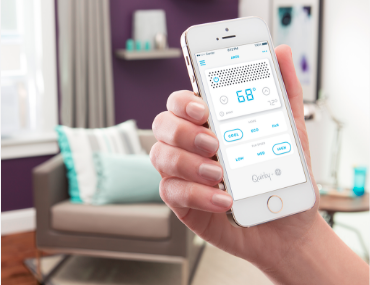 Now you can heat, cool, dehumidify, check air quality, and so much more from any location at any time through the use of your phone or other devices. Smart home systems employ this technology as well as great features that can detect and learn patterns of home or business usage to adjust for for vacancy or abnormalities ensuring ultimate efficiency while still being tailored to individual needs, providing constant and precise comfort. Aside from the benefits mentioned, another great reason to upgrade your AC or furnace could be for increased air purity and ensuring that you and your family are in the safest and cleanest environment possible. 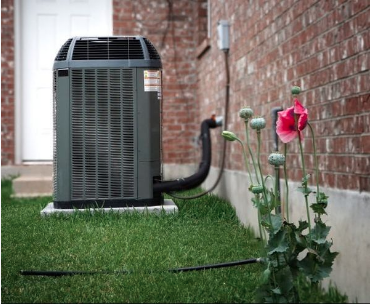 New air conditioning units have been fundamentally redesigned from older generations to prevent opportunities for mold and mildew growth, allergens, and the release of a many other forms of toxins. As well they allow compatibility with various innovative after market add ons like filters and fans. All said, if you are someone with specific medical requirements or otherwise, upgrading your unit could be an excellent and less costly way to ensure good health, as apposed to retrofitting old systems, in which longevity is not always guaranteed and custom work can quickly over price its long term value. We appreciate the fact that when assessing your HVAC system on your own, its quality, effectiveness, projected lifespan, and even basic info like age or model type may not be easily discoverable, especially in older makes, and understanding the current state of your system may not always be clear. To aid in helping our customers get a better idea of what they might be working with, at Daytona Air Conditioner we offer efficiency analysis audits in which our techs, who have seen just about every unit on the planet, can swing by and provide the vital information you may need to assess how well your AC or heater is functioning, weather or not there is anything that can be done to get the same results at a lower price, or perhaps to assist in weighing out the options of repairs versus new installations. 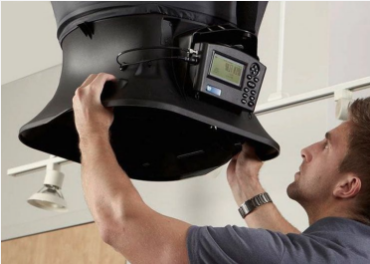 Getting your current air conditioning equipment audited for efficiency, even if it's really old, can be a great first step before spending time shopping for new solutions. After all your existing one might be better than you think, and we want to do the best we can to offer well informed and financially wise options. Checking for proper air balancing is one great way to monitor and enhance the efficiency of your home's heating and cooling, and can often be a major culprit for high energy bills. If you have ever noticed uneven temperatures in your house in which some rooms are consistently hotter or cooler than others, it is most likely a symptom of poor balance, and may be causing you to overcompensate or overwork your unit to get areas with restricted airflow to the temperatures you want. You shouldn't feel like you have to freeze the rooms you never go in to obtain a nice cool in the ones you spend all your time in. A few causes that could lead to imbalance could include an improper duct layout, duct leaks, or inadequate return air in which there is not enough force to get air back to the handler. 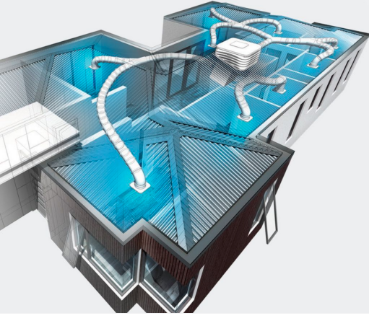 There are many ways in which we can help you achieve the most energy efficient cooling system, whether they be through the above mentioned or by investing in alternative systems like heat pumps, mini split air conditioners, evaporative coolers, geothermal, and even state of the art systems like night breeze and thermal energy storage. So if you are looking to get the best hot and cold for your buck, give us a call today and we will make sure you are saving in a comfortable way!